Typically the University of Washington schedules the first day of fall quarter on the last Wednesday of September. In 2012 however they changed protocol. The first day of classes was scheduled for Monday, September 24th and because both of my Monday classes took place in the late afternoon, I skipped the first day of class in order to attend the only Seahawks Monday Night Football game of the 2012 season. The day started fairly routinely and my afternoon was somewhat uneventful. At about 3:30 my friends Jake, Alan, and I left our house in Wallingford via Yellow Cab and we made our way downtown. When we got to the international district we parted ways. Jake and Alan were heading to the bar for a couple of quick pregame beers while I made my way into the bus tunnel to meet my friend Elliott who I was taking to the game. Elliott had come straight from work and his attire proved it. He donned a dress shirt and slacks with a Marcus Trufant Seahawks jersey over the shirt. Probably the most ridiculously awesome wardrobe I have seen any of my friends wear at a Seahawks game. Since he was running a little late we decided to head straight into the stadium at around 4:15. The pregame giveaway was rally towels which were awesome but interesting given it was only the third week of the season (normally the Seahawks save towels for the postseason or crucial games late in the regular season). The game started slowly on the scoreboard but the Seahawks gave the 12’s plenty to cheer about in the first half. Chris Clemons, Bruce Irvin, and Brandon Mebane combined for 8 first half sacks. Seattle’s incredible ability to put pressure on Packers quarterback Aaron Rodgers helped keep Green Bay off the scoreboard through two quarters. With each sack the crowd became louder and louder. I can remember laughing hysterically with Elliott because of how easily our defense dominated the line of scrimmage. Other than the sack barrage the biggest play of the first half came with 6:29 remaining in the second quarter. After four drives resulting in punts, the Seahawks put together a 7 play drive culminating in a long 41-yard touchdown pass from Russell Wilson to Golden Tate, giving the Seahawks a 7-0 lead. In the second half the Packers adjusted well. Their first two drives went for field goals which cut the Seattle lead to 7-6. What was frustrating late in the game was our pass rush went from dominant to nonexistent. We could not put any pressure on Rodgers which contributed to Green Bay’s ability to put together lengthy drives and score points. After another Seahawks punt the Packers got the ball back to start the fourth quarter. The Packers drove 82 yards in just over 6 minutes and things got interesting. Rodgers hit receiver Greg Jennings for a touchdown but the Seahawks challenged that Jennings stepped out of bounds before the ball crossed the plain. The call was reversed and it brought up 3rd down and 1 at the 2-yard line. On the next play Rodgers scrambled and was marked short of the first down marker but the Packers challenged this play. Once again the call on the field was reversed giving the Packers a first down at the 1-yard line. On the next play running back Cedric Benson punched the ball in. After failing to convert the two-point conversion the Packers had their first lead of the game, 12-7 with 8:44 remaining in the game. On our next possession we were able to drive down inside the red zone to the Green Bay 7-yard line. Unfortunately we could not settle for a field goal. On 4th down with 2:00 remaining Wilson threw a fade pass to the left corner of the endzone which looked to be intended for Sidney Rice. Instead Golden Tate jumped in front and tried to make the catch but he ball hit off his hand and fell incomplete. The Packers would get the ball back with 1:54 remaining but the Seahawks had two timeouts left. If they could force Green Bay into a three-and-out, the Seahawks would get the ball back and have one more chance to win the game. 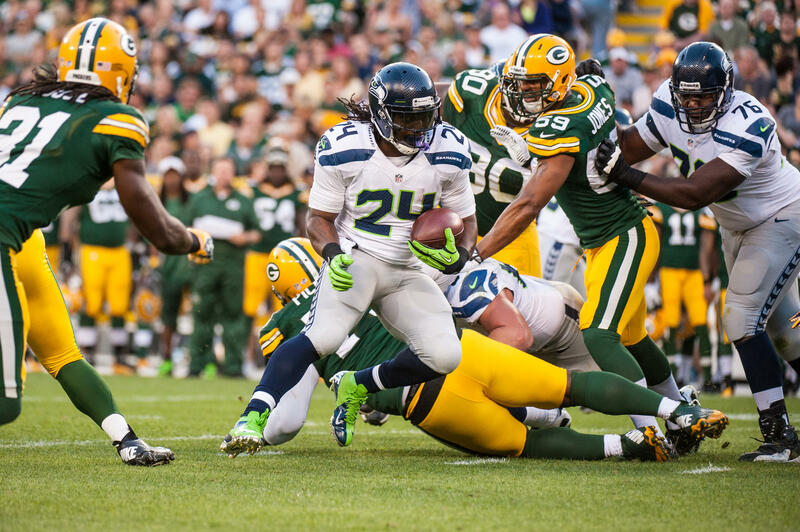 The Seahawks were able to force the Packers into a three-and-out which backed them up to their own 4-yard line. Green Bay punted back to Seattle, giving the Seahawks the ball on the Packers 46-yard line with 46 seconds left. After a first down incompletion Wilson fired down the middle and connected with Sidney Rice for a 22-yard gain. With the clock ticking the Seahawks hurried up to the line of scrimmage and instead of spiking the ball they went for the win. Wilson floated a pass into the endzone but the ball deflected off of Golden Tate’s fingertips. The clock was stopped with 18 seconds left. The Seahawks had the ball on the 24-yard line. After two more incompletions the game came down to one final 4th down play with 8 seconds left. Wilson dropped back and scrambled to his left, buying time for his receivers to get into the endzone for the Hail Mary. Wilson lofted a pass into the left corner of the endzone which was caught “simultaneously” by Packers safety M.D. Jennings and Golden Tate. From my view it looked like Tate had outjumped the mass of bodies and made the catch cleanly. When the side judge ruled it was a touchdown Elliott and I went bonkers. The team stormed the north endzone and in the stands we all jumped up and down with wide eyes, seemingly not being able to believe what had just happened. I can remember tossing Skittles at a few Packers fans sitting around us; Packers fans that had been trash talking the Seahawks throughout the second half. When head referee Wayne Elliott came out from under the replay hood and ruled that the call on the field stood, the fans erupted one more time. The Seahawks improved their record to 2-1 and it made for a jubilant rest of the night. Upon walking down to the upper concourse we ran into Jake and Alan and we walked down the stadium ramp screaming and cheering. I can even remember Alan exclaiming “this is the best night of my life!” When we exited the stadium Elliott and I parted ways because we were heading home in different directions but the night was just starting for Jake, Alan, and I. We took a bus back to the University District which was filled with happy Seahawks fans. While standing on the bus Jake agreed with Alan’s prior declaration that it was the best night of his life. This caused one bitter Packers fan standing next to us that “that was sad. Graduation or getting married would probably be the best night of my life.” Once we got off the bus we walked back to Wallingford but not before picking up a fallen tree branch off of the sidewalk randomly. We jokingly waved the branch all the way back home and we decided that it would be our house “victory branch” which we placed on the porch. It stayed there for the remainder of our lease. We cooked up six chicken top ramens in a giant pan and we watched SportsCenter where for the first time we realized what had actually happened on the final play of the game. We had no idea how questionable the final touchdown ruling was and we could not believe he had witnessed one of the most controversial games in NFL history. It is the greatest regular season Seahawks game I have attended in the 10 years I have been a Seahawks season ticket holder and it rightfully has a spot near the top of my #10for10 countdown. A win is a win, right? It is true but why do I feel so frustrated and disappointed? 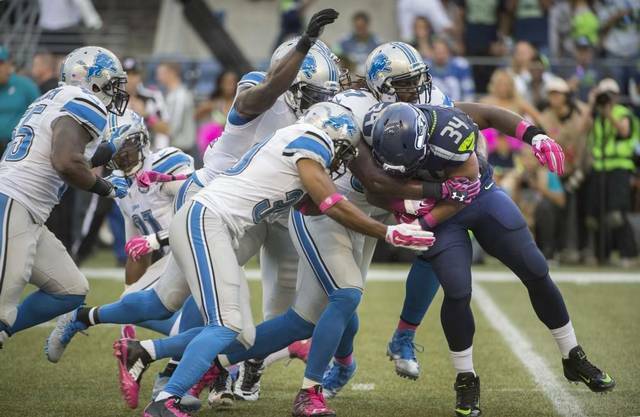 The Seahawks survived a late charge by the Detroit Lions offense and thanks to Kam Chancellor forcing a fumble and K.J. 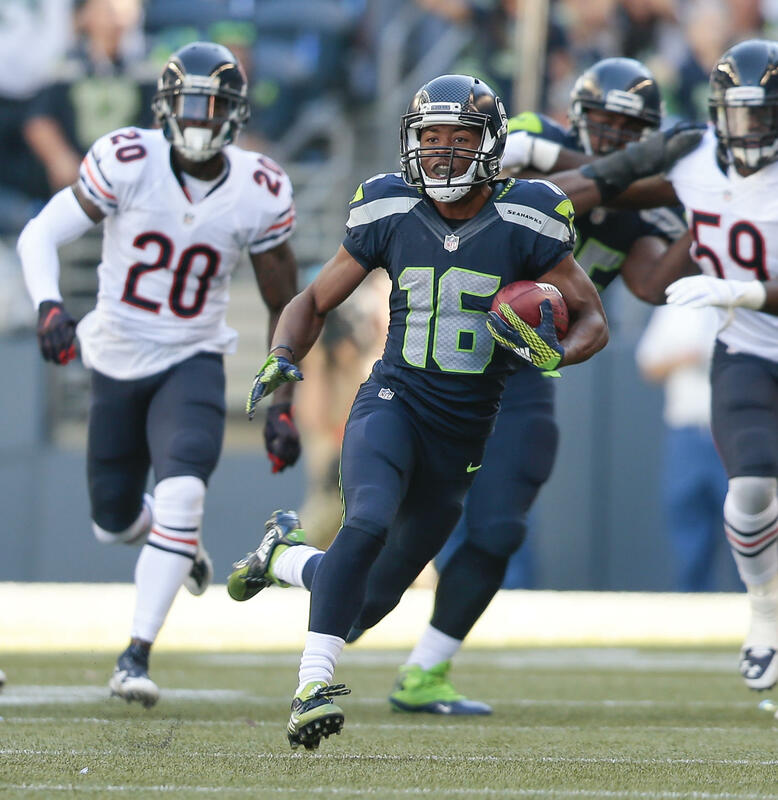 Wright batting the ball (illegally) out of the endzone, the Seahawks survived to win 13-10. The victory gets the Seahawks to 2-2 and one game behind the Arizona Cardinals for first place in the NFC West. The Lions fall to 0-4. There was one consistent negative in this game and it has my full attention in this week’s postgame review. The Seahawks offense line has struggled throughout the season but tonight I feel the line hit rock bottom. Things must change so the Seahawks can maximize the full potential of the offense. Instead of a traditional review, here is a rant dedicated solely to the Seahawks woeful offensive line. This picture sure says a lot doesn’t it? After rushing for over 100 yards last week running back Thomas Rawls did not produce nearly as well against the Lions. Rawls averaged a meager 2.8 yards per carry and his longest run of the night was only 10 yards. Rawls struggled because our offensive line could not provide adequate running lanes. I have heard a lot of talk about how our offensive line scheme is a “system blocking” style, meaning it does not necessarily matter who our personnel is along the line, you can plug in players at will as long as each lineman does their individual assignment within the zone-blocking scheme. If you can put 5 successful blocks together in unison you will have either excellent pass protection or solid run blocking. At some point it must matter who we have along the line because I am sick of seeing Justin Britt and Drew Nowak specifically getting blown up or struggling to block. It may soon be for the Seahawks and offensive line coach Tom Cable to consider personnel changes up front. In short and in closing, I just wish we still had Max Unger. Controversy in Relation to the Offensive Line: The Seahawks dodged a massive bullet late in the game when safety Kam Chancellor knocked the football out of Calvin Johnson’s hands one yard short of the goal line. The ball bounced to the back of the endzone and linebacker K.J. Wright batted the ball out of the endzone for a touchback. The only problem is that Wright’s clutch play is illegal but fortunately it was not called. If a penalty had been enforced on Wright, Detroit would have maintained possession at the one-yard line. I believe the Lions would have successfully scored a touchdown and the Seahawks would have faced a 17-13 deficit with less than two minutes left. The Seahawks would have had to go the length of the field and score a touchdown in order to win the game. The way we blocked for Russell Wilson up to that point I would have had no confidence in our ability to drive down the field to take the lead. That potential situation would have taken away our running dimension, which would have allowed the Lions defense to stack the box and put immense pressure on Wilson, pressure that our horrible offensive line would definitely had not been able to handle. If it wasn’t for that non-call on the batted ball out of the endzone, there is no question in my mind the Seahawks would have lost and fallen to 1-3 on the season. What’s Next: Look out for my preview of our week 5 game against the Cincinnati Bengals on Saturday morning. For the second time this season and the first time at home, the Seahawks welcome the primetime lights to CenturyLink Field. This week the Seahawks welcome ESPN Monday Night Football to the Emerald City for our week 4 matchup against the Detroit Lions. After our win last week the Seahawks are 1-2. The Detroit Lions won 11 games a year ago but have gotten off to a very rocky start in 2015. They have stumbled out to a 0-3 record and coming out to Seattle will be no easy task. 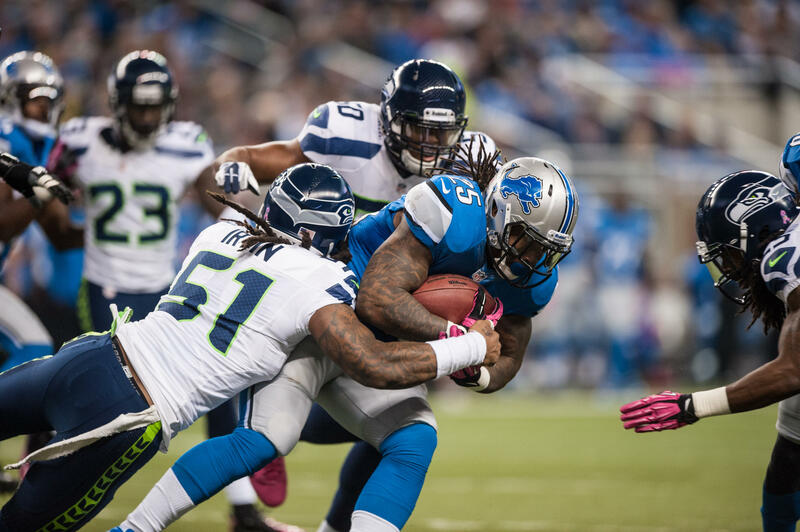 The Seahawks lead the all-time series with Detroit 7-5 but in their last meeting in 2012 the Lions got the best of the Seahawks, beating us 28-24 at Ford Field. The Seahawks are also 8-0 in regular season primetime games at CenturyLink Field under Pete Carroll, winning those games by an average of 18.5 points. Here are my points of emphasis going into this week’s game. Seahawks running back Marshawn Lynch is battling a hamstring injury and reports earlier in the week indicate he has a 50/50 chance of playing. As great as it would be to see him active this week, I believe we can win without him. If he is inactive it will be important for quarterback Russell Wilson to get everyone involved. Giving Detroit a taste of their own medicine may be the best way to go about attacking their defense, making them play nickel and even dime coverage. Doug Baldwin could be a major beneficiary in the short passing game this week and I think we are well off using both Jermaine Kearse and Jimmy Graham in the intermediate and deep passing game on the outside. I believe getting off to a fast start and early lead will go a very long way in preserving a Seahawks victory. Detroit’s offense becomes very predictable if their opponent takes an early lead. Detroit hung tight in two of their first three games; week 1 in San Diego, and last week at home against Denver. In those two games combined, the Lions ran a very even balance of plays on first down, throwing on 55 percent of their first down opportunities. In their second game of the season, a 26-16 loss in which they were never really in the game, the Lions threw the ball on first down 90 percent of the time. An early lead for Seattle will likely force the Lions to completely abandon the run. There are three things the Seahawks defense must do against this potentially powerful Lions offense. First, they must take away the edges, keeping plays in the middle of the field. Detroit has added a lot of speed both at running back and wide receiver and the majority of their large chunks of yards come outside the numbers. The second thing Seattle must do is a no brainer, successfully cover Lions wide receiver Calvin Johnson. Johnson will line up across from Richard Sherman and even though Lions quarterback Matthew Stafford has shied away from throwing the one-on-one jump ball up to Johnson, it may be in our best interest to shadow Johnson with double coverage. It would not surprise me to see defensive coordinator Kris Richard use K.J. Wright to drop back in coverage to help Sherman cover Johnson. The third thing we must do could go a long way in forcing turnovers. Have you ever heard of the phrase “you cannot make chicken salad out of chicken s—t?” After watching film of each of the Lions first three games, this phrase basically sums up Matthew Stafford in a nutshell. His 5 interceptions so far this season are tied for 2nd in the league. If Stafford feels pressure and tries to scramble, the chances of him throwing interceptions are great because instead of smartly throwing the ball away he tries to make something happen. It would be wise to dial up all sorts of pressure packages to try to confuse Detroit’s rather inexperienced offensive line. I cannot emphasize this enough. If we can successfully penetrate the Lions offensive line regularly it will go a long way in winning the turnover battle. Since Matthew Stafford was drafted in 2009 the Lions have been known to be an extremely pass-heavy offense. Detroit will use packages including 3 or even 4 wide receivers and/or multiple tight ends. On the outside they will use Golden Tate in the quick passing game and tight end Eric Ebron gives them another weapon between the hashes. This year however they have made strides in balancing their offense out. After struggling to stop Bears running back Matt Forte early on last week I have doubts on whether or not the Seahawks will be able to contain the run again on Monday night. My X-Factor Player to Watch for the Detroit Lions this week is their rookie running back Ameer Abdullah. Regardless of the fact that running back Joique Bell has already been ruled out this week, there is no question in my mind Bell’s presence is a complete waste of a roster spot. Abdullah is Detroit’s best option at running back. His quickness and ability to bounce runs to the outside make him difficult to stop. His burst at the line of scrimmage is also scary as his speed and size allow him to gain extra yards after contact rather easily. Abdullah is also Detroit’s kick returner so it will be important for Steven Hauschka to kick the ball deep or out of the endzone to eliminate the possibility of Abdullah giving the Lions good starting field position. The best way for the Lions offense to be effective will be to keep the tempo up. If they can keep the Seahawks defense on the field and tire them out the Lions will have a chance to stay in this game. 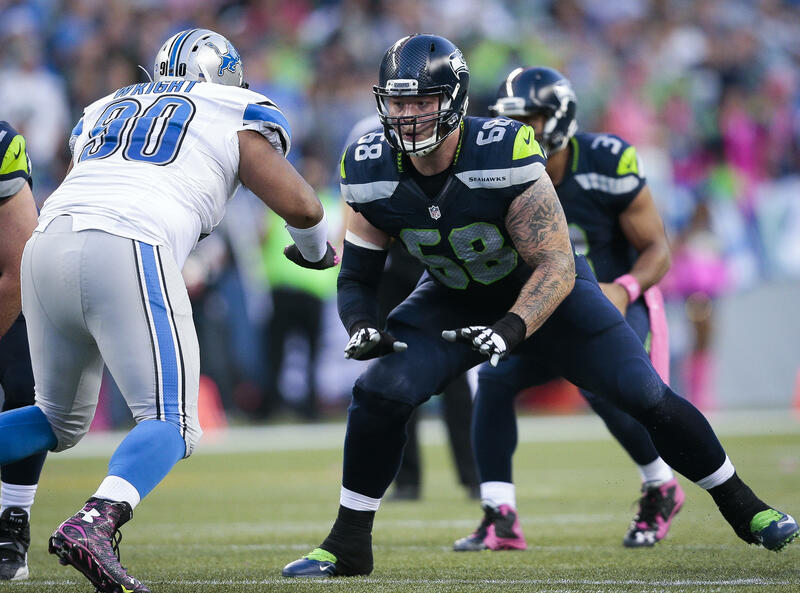 After three weeks there are still questions regarding the Seattle offensive line. If Detroit wants to make an impact on defense they must be able to put pressure on Russell Wilson. They are fully equipped to do so. Even though they lost defensive tackle Ndamukong Suh in free agency they still have two very talented pass rushing ends in Jason Jones and Ziggy Ansah. They also added defensive tackle Haloti Ngata to take Suh’s spot on the interior line. This week may also mark the return of leading tackler DeAndre Levy at outside linebacker. Levy has been out all season with a hip strain. He is a ball hawk who will make plays in coverage. The secondary is led by safety Glover Quin who led the NFL in interceptions in 2014. His two interceptions so far this season also puts him tied for the lead in picks in 2015. Much like forcing Matthew Stafford into turnovers is a key for the Seattle defense, the exact same can be said for the Detroit defense. I believe the team that wins the turnover battle will win this game. Random Thoughts: Nothing special as far as uniforms go this week. Seattle will go all College Navy and the Lions will wear white tops with silver pants… Mike Tirico and Jon Gruden have the call for ESPN with Lisa Salters reporting from the sidelines… The referee this week will be Tony Corrente… Even though ratings for Monday Night Football have dropped since ESPN took over the broadcast in 2006, MNF is still a very special game to attend. It is the only game of the day and they entire nation is tuned in. This will be the 8th and a half Monday Night Football game I attend live. If you’re wondering what “and a half” means, I could attend only the second half of a Monday Night game against St. Louis in 2011 because I had a final exam to take at the University of Washington. My professor would not let me reschedule so I missed Doug Baldwin block a punt for a touchdown, the only exciting highlight of that game… A pregame lunch at Buffalo Wild Wings before the game will certainly be fun… This week I am taking my friend Josh to the game. He has gone to a game with me every year since 2007. I note his presence because of the games we have attended the past two years. Since the beginning of 2013 the Seahawks have a 19-2 record at home. Our two losses in this span were to Arizona in 2013 and Dallas in 2014. I took Josh to both of those games. He has certainly been Mr. Unlucky over the past couple of years. I’m confident we will turn this run of misfortune around this season! Prediction: I said the team that wins the turnover battle will win this game. The Seahawks will intercept Matthew Stafford three times which will lead to three separate scores. The Seahawks will finally play a satisfying first half and by halftime the game will have already been won. Russell Wilson will throw two touchdowns and Fred Jackson will also run one in from the redzone. The Seahawks will get to 2-2 and get ready for Cincinnati in week 5. When I was in high school I loved it when the Seahawks played Monday and Thursday night home games. It gave me the opportunity to dress up in all my Seahawks gear and attend all my classes as “that guy;” the guy you just knew was going to the game that night. The day was Monday, November 27th. 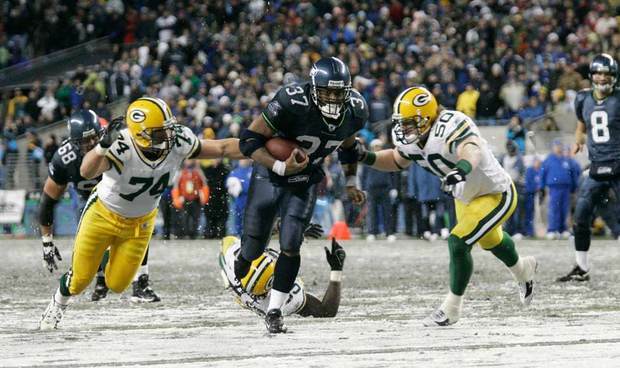 The Seahawks were hosting their second Monday Night Football game in 4 weeks and we were facing off against Brett Favre and the Green Bay Packers. As soon as 7:30am when I got to school I could tell it was going to be a special and memorable day. I was taking my friend Modris to the game and it was going to be his first ever NFL game in-person so I was very excited. After four 90-minute block periods of AP Language (the hardest class I ever took in high school), Band, Culinary, and U.S. History, Modris and I headed straight from school to the park and ride to catch the bus downtown. It was very cold throughout the day. When I woke up and turned on SportsCenter they were doing a live report from Seattle and they said the game time temperature would be in the 30’s with a “chance” of snow flurries. Looking back I was probably underdressed a little but my classic look of sweatshirt-under-jersey with a knit hat kept me plenty warm. As the teams came onto the field for pregame warmups you could see a light dusting of snow falling from the sky and blanketing the field ever so slightly. The snow continued to fall as the teams headed inside their locker rooms and as we got ready for pregame ceremonies something pretty amazing happened. The National Anthem was sung and the snow really started to pick up. During the anthem a 20-yard wide American flag was held at midfield. 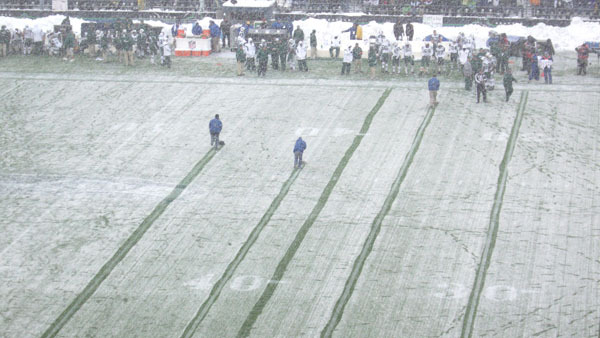 The rendition took about two minutes and afterwards the flag was removed, revealing a very noticeable green rectangle of space where the field was untouched by snowfall. The snow continued to fall for the majority of the first half. During television timeouts, the field staff pushed shovels across the field at every 5-yard line marker so we could make out where the yard lines and endzones were. 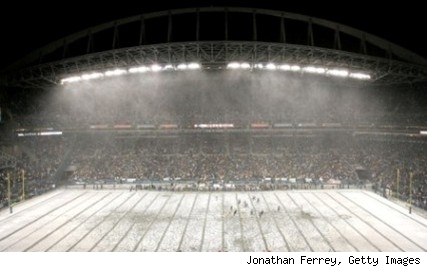 It was a scene made ironically enough for Green Bay and it was only fitting that the Seahawks first ever home game played in the snow was against the Packers. The game itself got off to a slow start, as the Packers took a 14-12 lead into the locker room at halftime. The Seahawks however were able to capitalize on Brett Favre’s two second half interceptions. Add in 40 rushes for 201 yards by Seahawks running back Shaun Alexander and two touchdown passes from quarterback Matt Hasselbeck and the Seahawks were able to dominate the later stages of the game, ultimately pulling away for a 34-24 victory. The win gave the Seahawks a 7-4 record and we maintained control of the NFC West. After the game it took Modris and I almost two hours to catch a bus back home. My parents picked us up and drove us home which was a challenge itself. More than 3 hours had passed since the end of the game and I was finally home safe and sound. It had snowed about 4 inches back in Bellevue and it was enough to cancel school for the next two days. This game occurred in my first season as a season ticket holder but it continues to stick in my mind as one of the more unique games I have been to over the years.